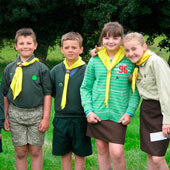 “Novaky” (Cub-Scouts) are boys and Brownies girls aged 6-12 years of age. They are organised into separate groups which we call clusters, 2-3 clusters make a hnizdo (a nest). 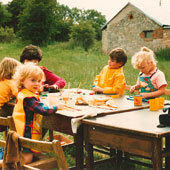 Activities consist of games, singing, handcraft, story telling, exploring the outdoor life, organised outings and lots more. All these activities are organised to meet the requirements of the badge awards. 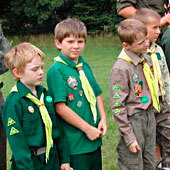 Apart from the badge awards there are also attainments where scouts must be able to complete certain set tasks helping them to become confident and self-assured. 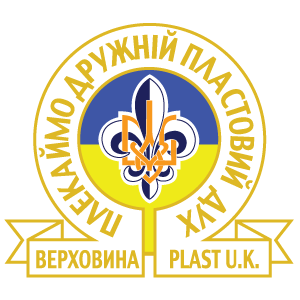 In the Ukrainian Scouts there also exists “Ptasheniata” (little birds) these are for very small children age 4-6 years old. They have separate camps, where they camp together with their mothers and have separate activities that includes learning through game play, singing, going for short walks, drawing, etc. This “head start” program was found to be very helpful and useful to introducing them to Cub-Scouts.